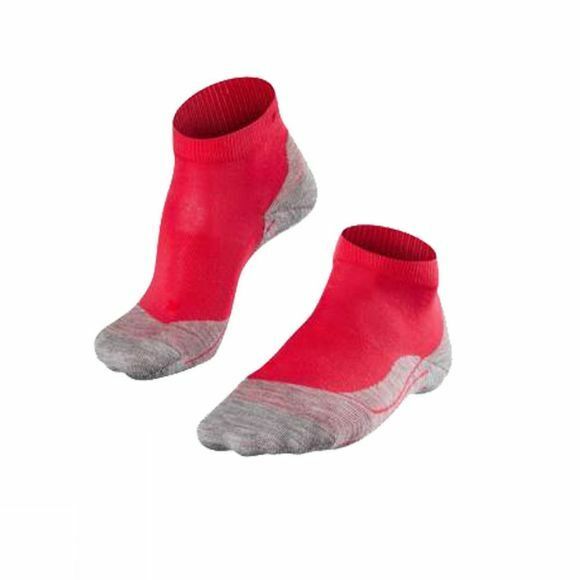 The Falke RU 4 Short women socks, are for runners who want comfortable feet. With a high claim to dynamic stability, they will keep your feet protected and on form. With a 3-layer construction for quickest moisture management and the best shock absorption in the sock business, you can push hard worry free, without the discomfort that usually follows from other socks. Cut short and using a mesh structure, they're quick drying too.